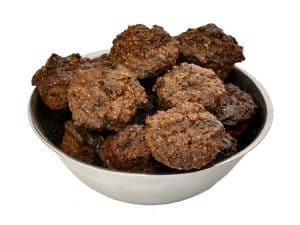 We use “people quality” Wagyu beef in these yummy doggy mutfins, our free range eggs, home-made bone broth, sunflower oil and fresh organic turmeric in our specially formulated low fat, high protein mutfin mix making these “oh so good”. These will be enough to drive the beef lover in your family mad! 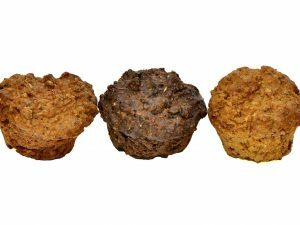 Beef muffins made using Wagyu beef has more health benefits for our dogs over common breeds of cattle. The unique advantage of Wagyu beef is that it contains a much higher proportion of the desirable monounsaturated fats (EFA’s). The monounsaturated/saturated fat ratio is up to three times higher in Wagyu than in any other beef. Home-made bone broth which is rich in calcium, magnesium, phosphorus and other trace minerals. 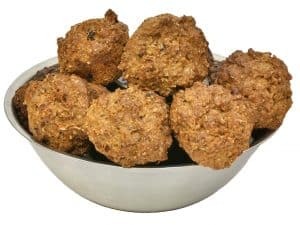 Sunflower oil is a polyunsaturated oil with low saturated fat levels, high in Vitamin E and a good source of Omega 6 blended with our high protein muffin mix, a combination of milled oats, rice flour, unprocessed bran and wheat germ. 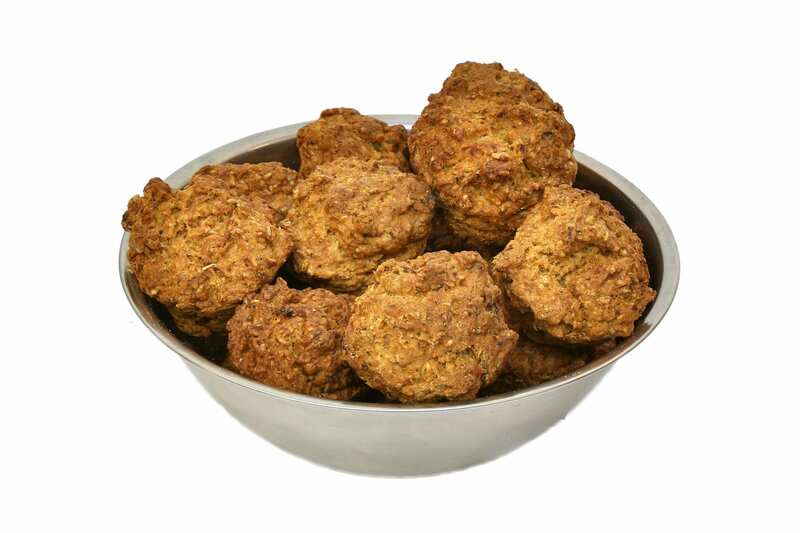 Vacuum packed into 250-gram amounts for maximum freshness as our products are free of preservatives, salt and sugar!